Nintendo surprised Smash Bros. and Persona fans this morning with a 15-minute video outlining new content coming to Super Smash Bros. Ultimate. Stealing the show was the announcement that the first Challenger Pack DLC including Persona 5’s Joker will be available today on April 17th, 2019! Joker has been expected to join Smash Bros. for some time now, and recent leaks from retailers had hopes high that he would make an appearance sooner rather than later. Starting today, players can download Challenger Pack 1 as a part of Super Smash Bros. Ultimate’s Fighters Pass for £22.49 / €24,99 / $24.99 or as a separate download for £5.39 / €5,99 / $5.99. 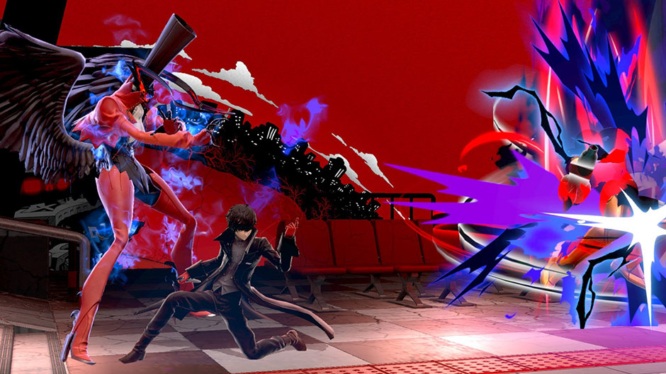 Challenger Pack 1 includes Joker, an all-new stage inspired by Mementos from Persona 5, as well as iconic music from the popular game series. The video posted by Nintendo provides a good look at Joker in action and confirms that he will be accompanied by his main persona, Arsene. For a full look at Joker’s moves, be sure to check out the video embedded below. Alongside Challenger Pack 1, Super Smash Bros. Ultimate players will also be receiving the free 3.0 update. Most notably, the update sees the return on the fan-favourite Stage Builder to the series, something that Nintendo themselves accidentally leaked last week. Once you’ve let your creativity run wild in the new mode, you can share your stages on the all-new Smash World that also launches today. Smash World joins Splatoon 2’s SplatNet in the Nintendo Switch Online app. Share videos and stages with Smash Bros. players around the world and download others’ creations right from within Smash World. New video editing features are also included in the 3.0 update to make your replays look better than ever. Splice together multiple clips into a single timeline, and add sound effects or subtitles before sharing your skills on the new Smash World Service. Super Smash Bros. Ultimate 3.0 is available from today, April 17th, 2019 as a free update. The Challenger Pack 1 including Joker will also available to purchase later today.